Matters of the Mind and Body: Is Foot Pain All in Your Head? The Center for Podiatric Care and Sports Medicine in NYC sees many patients with chronic foot pain. There is no doubt that this pain is physical and very real. 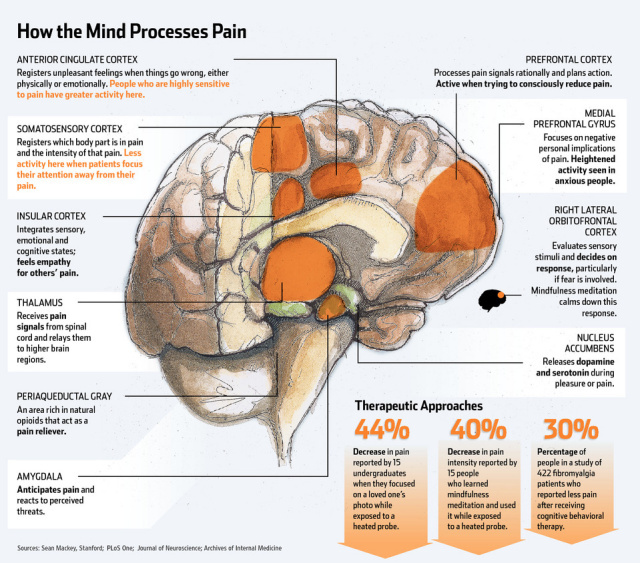 However, research suggests that the mind and nervous system can greatly affect the perception of pain. We can help you treat the physical causes of chronic foot pain, but there are also things you can do on your own to brighten your mood and lessen your distress. Depression and foot pain are linked, say some researchers. It may seem a foregone conclusion, but a study conducted by Australian researchers found that poor mental health is a predictor of worsening foot pain. Their 62 patients underwent pain and mental health assessments in 2008 and 2011. Patients with an improvement in their condition were found to have better baselines for mental health. Similarly, patients with deteriorating conditions had baselines well below normal. The authors speculated that “the outcome of foot pain may be affected by a person’s mental status” and that preexisting mental issues “may influence the development of chronic pain.” They admitted that more research is needed to determine whether foot pain causes a reduction in activity and subsequent depression — or whether depression causes an increased perception of pain. Even so, they recommended that mental health counseling be a part of a comprehensive foot pain treatment program. How an individual experiences pain is a complex area of research that boggles the minds of scientists. According to the Cleveland Clinic, some people will say that a metal disc heated to 120° and placed on their forearms is slightly uncomfortable (1/10), whereas others will say it’s intolerable (9/10). Brain scans of study participants reveals that people “in severe pain” have greater activation in several key areas of the brain. There are both physical and mental ways to improve chronic foot pain. – Resist the urge to “hunker down” and preserve your social life. – Conduct research to understand as much as you can about your health condition. – Keep in mind that chronic pain is a common experience, with good days and bad. – Start a slow, gradual, therapist-approved exercise program to restore mobility. – Eat well and participate in stress-reduction activities, like yoga or guided imagery. – Consider cognitive behavioral therapy if you often have thoughts that bring you down or interfere with your quality of life. Here at The Center for Podiatric Care and Sports Medicine, we will work with you on an individual level to find a solution that works best for you — rather than pitching “one-size-fits-all” generalizations. While we are not mental health professionals, we understand that your attitude, perception of pain, and emotions will all influence your course of therapy. For instance, depressed patients may do better with a few small lifestyle changes, rather than surgery — which can place a large burden on the mind during the immobilized recovery weeks. Set up an appointment with a board-certified Manhattan foot pain doctor!